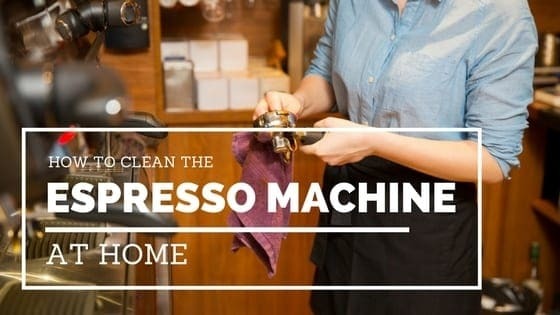 » Wondering How to Clean Espresso Machine at Home? Read This! What is Descaling? And Why Descale an Espresso Machine? Being able to make a good cup of coffee every single day is one of the best parts of waking up. But recently, you noticed that the taste of your coffee is no longer as great as before. Despite using the same good quality beans, and same procedure, you still can’t make the same perfect cup. So maybe, it’s time you learn how to clean espresso machine at home. Cleaning the espresso machine from the inside is also called as descaling. Descaling coffee machine aims to remove the lime scale deposits that build up on the espresso machine, particularly on the parts where the water flows. Lime scale is the chalky, stony, off-white residue left behind by hard water on the metallic parts of water-operated machinery. Mineral water and filtered water, which contains higher concentration of dissolved minerals like calcium and magnesium, are some samples of hard water. When the lime scale builds up and hardens, this slows down the efficiency of your heating element. It even limits the life span of your espresso machine. Given the reduced efficiency, this will cause you higher electricity bill. And if you overlooked the extensive lime scale build up, expect for higher maintenance cost of your espresso machine. Since limestone build ups do not help, in any way, we should learn how to get rid of it.  I listed below helpful tips on how to descale espresso machine at home. Citric Acid is often used in descaling because it is natural, easy to use, easy to find, odorless, relatively cheap, has lower pH level and doesn’t leave chemical residues. First, just mix the Citric Acid and water thoroughly in a pouring cup. Then pour the citric acid descaler concentration on the water reservoir. Run the water through the machine to get the boiler filled up with the acidic water. It’s as if you are brewing a fresh cup of coffee. And, don’t forget to run the water through the steam wand, too. After running the citric acid descaling solution, you will notice the off-colored water coming out of your machine. It’s normal. That is the result of descaling. Discard the water. Repeat the cycle until you run out of citric acid descaling solution. Then, refill and run your machine with plain water. Discard the water again. Repeat procedure until the water becomes clear. This will remove the taste of citric acid from your espresso machine. After doing all the procedures, your espresso machine is now ready to brew your favourite espresso! Vinegar is not only a known descaling agent, but also known one of the best cleaning tools in the world. It can also be used to clean the exterior of espresso machine. That is why vinegar is also a top choice for espresso machine descaler homemade. Standard White Vinegar – and that’s it! The difference of descaling coffee machine with vinegar to a citric acid descaler recipe, is that you will use the vinegar directly. No need to dilute with water. The procedure for descaling using vinegar, is just the same with citric acid. You just run the vinegar all throughout the espresso machine, including the steam wand. After that, you need to refill the machine with fresh water, and run the machine until the vinegar becomes unrecognizable. This might take a couple of run, before you flush out the vinegar completely. If you don’t want the strong smell of vinegar, lemon is an option for you. Lemon, just like vinegar, is also a widely known effective cleaner. It is easy to find and with extreme levels of acidity. And if you find squeezing lemons a burden, lemon juice sold in supermarkets are just as effective. The procedure is just the same with citric acid and vinegar. However, since lemon doesn’t smell as strong as vinegar, flushing out lemon solution is much easier. Just flush out the water until it becomes clear. Since baking soda is non acidic, some say this cannot help in descaling your coffee machine. Plus, baking soda doesn’t completely dissolve in water. So, others do not consider using this. While some say the opposite, others who tried baking soda say it is a wonderful cleaning tool for their coffee machine. Fur sure, baking soda is a great cleaning agent for the exterior and removable parts of your espresso machine. Baking soda is widely available, very cheap, and doesn’t leave foul smell on your coffee machine. Descaling depends on the type of your machine, how often you use your coffee machine, and how hard the water is in your area. Each machine has a guide from its manufacturer. So, it is safe to follow the guidelines there. And if the machine is still under warranty, have it checked before descaling on your own. As a general guideline, if you use your coffee machine for personal consumption only, descaling once a year is fine. But, heavy users might need to descale twice a year. However, if you live in an area with really hard water, you might need to do it on a monthly basis. You just have to check your machine, and if there’s a limescale build up, that’s the time you need to descale. To be able to have a consistent good quality coffee, and to protect the life span of the espresso machine, descaling is a must and you will really benefit by knowing how to clean espresso machine at home. You may choose from citric acid, vinegar, lemon, or baking soda, if you’re planning to do all-natural homemade descaling solution. Citric acid and lemon are both great descalers, because they are natural, do not smell, easy to use and easy to find. Some aficionados prefer vinegar, since it is a tried and tested cleaning tool. But with the flip side that vinegar has very strong smell which might affect the aroma of the coffee. Baking Soda has pros and cons, which makes it the least option when descaling. If you own an espresso machine at home, we would love to hear your own descaling recipe. And if it’s your first time to descale, let us know how it worked for you!